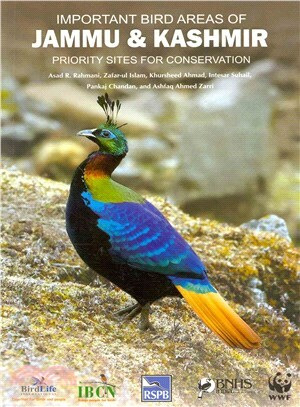 This volume is part of a series of books on important bird areas (IBAs) of specific states, which is an extension ofImportant Bird Areas in India: Priority Sites for Conservation (2004) that described 466 IBAs for India. The third book in the series, this volume focuses on the IBAs of Jammu & Kashmir. Co-authored by six field scientists and wildlife officers, Important Bird Areas of Jammu & Kashmir is a collaborative effort of BNHS, WWF-India, RSPB, and BirdLife International. Profusely illustrated with more than 70 images showing habitats and birds and with a polygon map for each IBA, this book will help advocate for the protection of all wildlife and wild areas, as IBAs are also Key Biodiversity Areas. Asad R. Rahmani is Director, Bombay Natural History Society (BNHS) since 1997. M. Zafar-ul Islam is a field biologist with a deep interest in international wildlife conservation. Khursheed Ahmad is Assistant Professor, Centre for Mountain Wildlife Sciences, Sher-e-Kashmir University of Agricultural Sciences & Technology of Kashmir (SKUAST-Kashmir). Intesar Suhail is Wildlife Warden, Department of Wildlife Protection, Jammu & Kashmir. Pankaj Chandan is head of the high altitude wetlands conservation programme of WWF-India. Ashfaq Ahmed Zarri is presently IBCN State Coordinator (Jammu) and Deputy Registrar in BGSB University, Rajouri Jammu & Kashmir.